Practicals are an essential part of life science education. The challenge is, to set up a practical as effectively as possible. And how do you assess what students have learned? Find out at our symposium “Present-day Practicals” on 22 August 2019! Everyone involved in teaching lab practicals is welcome! The purpose of this symposium is to increase the quality of laboratory education based on recent insights from educational literature and to share insights. After the success of the meetings on laboratory education in 2017 and 2018, this year’s edition focuses on research-based learning. We wish to inspire you to create an ultimate learning experience for your laboratory course students. You can design your own learning experience by joining diverse parallel sessions on e.g. assessing students, blended-learning design, or aligning learning activities. At the network plaza you can share experiences, ask questions to experts, and even start re-designing your own course! This year University of Amsterdam is hosting the symposium. 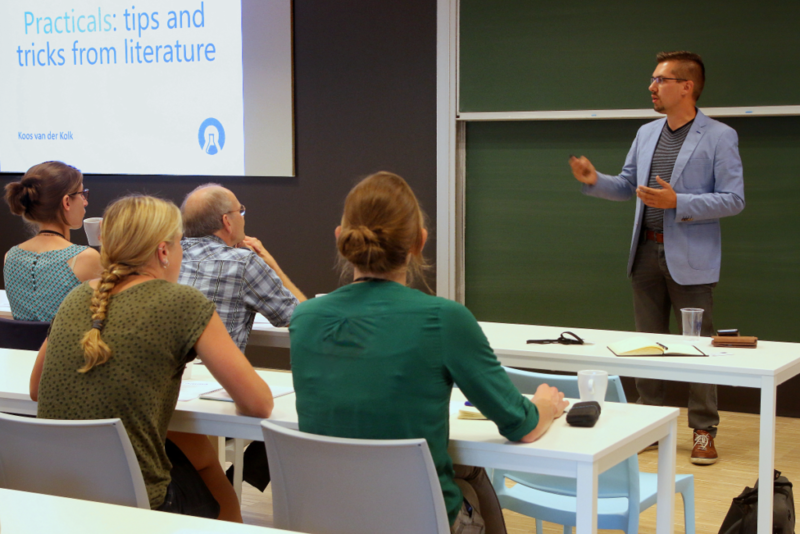 This year, the symposium on improving Laboratory courses is organised by University of Amsterdam and Leiden University in cooperation with LabBuddy. dr. Natasa Brouwer and Richard de Boer M.sc. dr. ir. Koos van der Kolk and Carolien Koppejan B.Sc.